Kazuo Inamori was born in Kagoshima, Japan in 1932. He graduated from Kagoshima University in 1955 with a Bachelor's of Engineering degree and joined Shofu Industries, an insulator manufacturing company in Kyoto. In April 1959, he established Kyoto Ceramic Co., Ltd. (now Kyocera Corporation) with a 3-million yen investment from acquaintances. He served as president and chairman of the company until 1997, when he assumed the title of founder and chairman emeritus. When Japan's telecommunications industry was deregulated in 1984, Inamori quickly took the initiative to establish DDI Corporation, and became the chairman. In October 2000, DDI merged with KDD and IDO to create KDDI Corporation. Inamori served as KDDI's chairman emeritus. He was named honorary adviser in June 2001. He became chairman of Japan Airlines ("JAL," now Japan Airlines Co., Ltd.) in February 2010 in order to rebuild the company's operations after bankruptcy. After serving as representative director and chairman of the company, he became chairman emeritus in April 2013, and honorary adviser in April 2015. In 1984, Inamori made a personal endowment to establish the non-profit Inamori Foundation, and became the president. At the same time, he created the Kyoto Prize, an international award presented by the Inamori Foundation each November to recognize individuals and groups worldwide who have made outstanding contributions to the betterment of the global community and humankind. His volunteer service also includes leading Seiwajyuku, a private management school operating in 100 locations (44 outside of Japan). 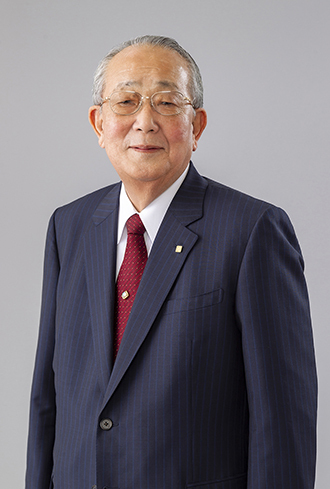 As president of Seiwajyuku, Inamori teaches his management philosophy to more than 13,000 business owners and entrepreneurs worldwide (as of September 2018). He also holds several posts outside of the business world, including honorary chairman of the Kyoto Chamber of Commerce and Industry; foreign member of the Royal Swedish Academy of Engineering Sciences; trustee emeritus of the Carnegie Institution of Washington; and foreign associate of the National Academy of Engineering in the United States. 1962: First Business Trip to the U.S.
Is My Motive Virtuous or Selfish?